At Bay Breeze Patio, we handle many commercial projects. We offer commercial grade outdoor furniture, firepits, fireplaces, outdoor heating elements and more. 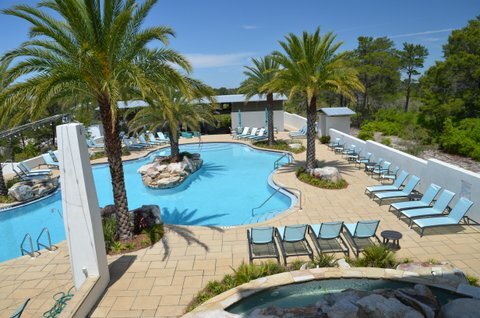 Serving community associations, contractors and developers, we’ve completed many projects along the coast, including community pools, common areas and restaurants. We are also a member of the American Society of Interior Designers (ASID) and offer incentives/commissions for interior designers. We feature the largest selection of in-stock wicker furniture in the region, making Bay Breeze Patio an ideal partner when the job requires high quality outdoor furniture that can withstand our harsh coastal conditions and fast turnaround. We feature many premium brands, including Tropitone, Brown Jordan, Lloyd Flanders and Lane Venture, among others. We understand the demands on design and construction professionals. Bay Breeze Patio is here to help ensure your project is completed on time and within budget. Call us today, 850-269-4666, to learn how we can support your next job.